Allie from Perfectly Pretty Weddings will be sharing weekly tips, tricks and inspiration for all the brides-to-be! With the wedding season starting shortly, I thought it would be fun to share some trends I am loving for this year! Formal weddings have never gone out of style, but the number of couples having formal wedding decreased over the past decade. 2014 is the year of the formal wedding! Hollywood’s Great Gatsby influence of big bands, white gloves, bow ties and champagne will be popping up throughout the wedding season. Rose gold has been growing in popularity the last few years and is now making its way into engagement rings and wedding bands. It’s romantic, it’s vintage feeling and mixed with a classic stone, it will stay in style for years to come. 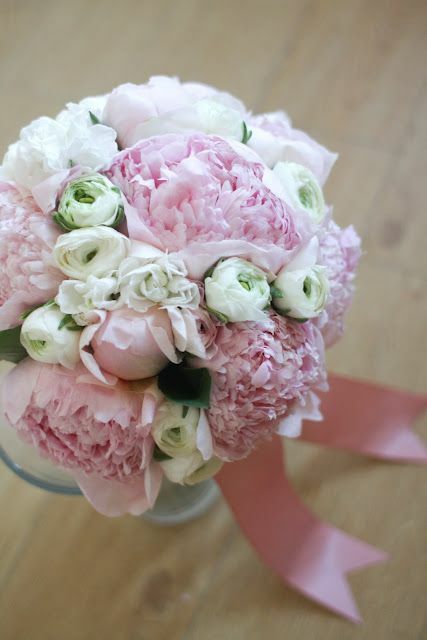 Peonies are the flower of the year. They are soft and romantic and work well with many different wedding styles (especially the formal, romantic weddings we are seeing this year!). More trends to come soon!